Find the right words to ask your customers for a testimonial. Struggling to find the right way to ask your customers for a testimonial? We’ve put in the work for you. 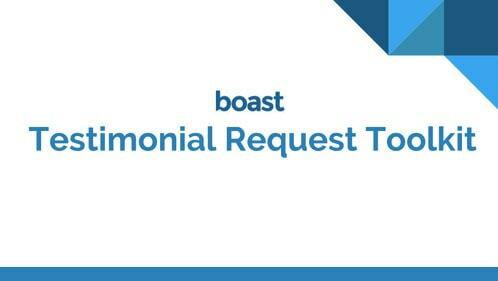 Whether you’re a fortune 500 company or a mom and pop shop, we have the perfect copy for you to use to engage your customers and request a testimonial. 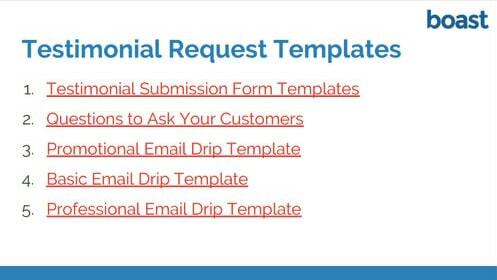 We understand it can be tricky to get quality testimonials from your customers so the testimonial request toolkit was created to give you the necessary tools to do so. 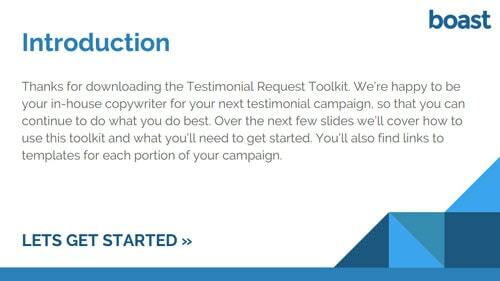 I want the testimonial request toolkit! How many customer testimonials do you currently have?